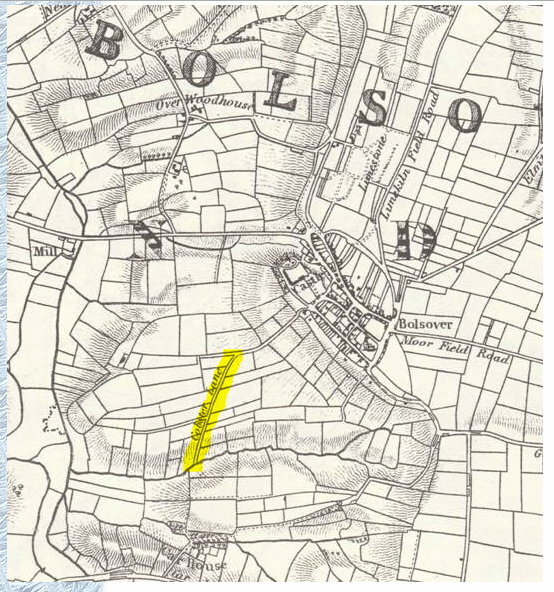 I recently came across an interesting map GEORGE SANDERSON’s 1835 map of ‘Twenty Miles round Mansfield’ published in 1835. It is an excellent map full of information and shows the field plan of the later Carr Vale area with an interesting road on it. The road runs from the castle and down what is now Castle Lane, it appears to turn off towards where New Bolsover will later be built, it carries on down towards Water Lane branching off and going down what will later be Charlesworth Street. The main part of the road stops at the brook on Water Lane. The road is named as Cobster Lane. However there is a Gander Lane nearby and a Cob is an adult male swan. As today was the area a haven for birds?